Discussion pro orange 70s thoughts ? pro orange 70s thoughts ? I had the TX and think the S would have been perfect for me. If played x in my driver since before college golf and now that in starting to get old i am slowly moving to Stiff flex. The TX played pretty true to flex in my opinion...ive def hit x shafts that were stiffer. I would expect the S flex to play similar to other stiff flex driver shafts. Maybe someone who has hit the S will chime in! If u are looking for a few mph speed its worth a try!!! I play the 70 tx in my driver and I'd say it plays like an x flex, maybe a bit on the stiffer side if anything. It's a lower launching and spin shaft. 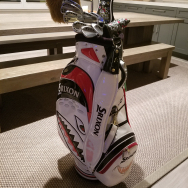 Haven't been able to get a true feel for it yet though since I've only hit it at the range and played one round when it was 50 degrees and windy. It plays at flex or a tad stiffer. It is definitely low launch, low spin. nice , looking forward to it, i picked it without trying, more of a time thing. i still have several including my gamer in case i dont like it. I do the same thing all of the time and always have. I will read about a shaft and if it sounds like a good fit i will buy it!!! Not saying that people shouldnt get properly fit...just saying that i have played golf for 45 of 49 years ive been on this earth and usually get "in the ballpark" when it comes to finding driver shafts. Might cost a little more in the long run, but its part of the fun! If it doesnt work for me it will prob end up on ebay or the BST.